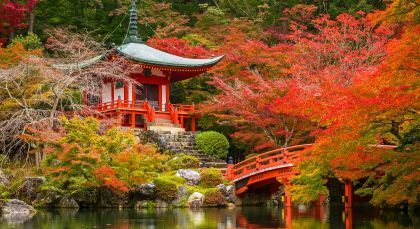 Discover Japan’s stark natural beauty and northern delights with this private tour. 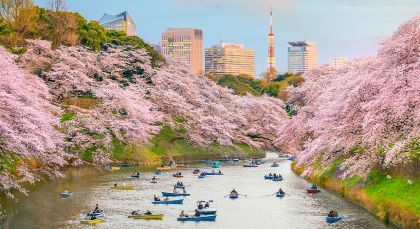 From futuristic Tokyo city, make your way to Hokkaido island, where the seafood havens of Hakodate and plenty of adventure activities await you. Explore picturesque national parks and pristine lakes and spend downtime in dynamic and artistic Sapporo. End your tour in serene Kyoto where a record 17 UNESCO sites are waiting to be explored! 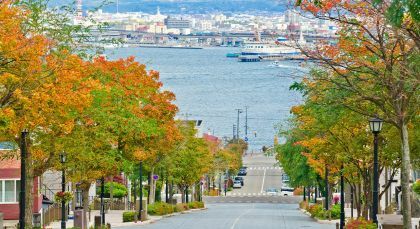 Hakodate, famed for its fresh, delectable seafood, is the third largest city on Hokkaido island. The bustling harbor city was one of the first to welcome international trade and was once home to a thriving foreign population. 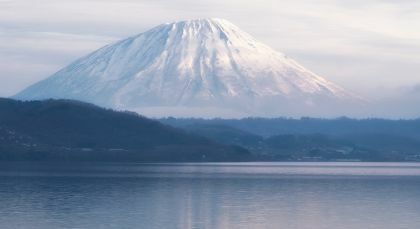 Lake Toya in Shikotsu-Toya National Park is a caldera lake with a large island sitting in the middle is surrounded by numerous hiking trails. Nearby, you could also explore Mount Usu, an active volcano with four eruptions since 1910, the last of these being in 2000. 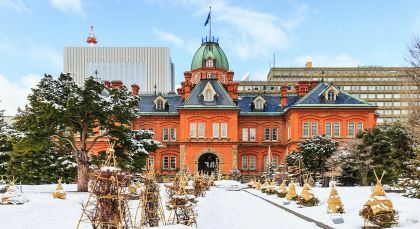 Explore Sapporo, the dynamic capital of Japan’s northernmost island of Hokkaido! A year-round destination, stunning natural landscapes and distinctive seasons welcome you in this city. Discover the charming little port town of Otaru on this day visit from Sapporo, in the company of an expert local guide. Take the train from Sapporo right after an early breakfast or lunch at your hotel. You will reach your pretty little destination in just 40 minutes. Otaru was once Hokkaidō’s financial center back in the early 20th century with a flourishing harbor. Take a leisurely stroll along the neat rows of brick and stone buildings lining the town’s central canal. Enjoy the romantic ambience of the avenues along the canal, which leads to the port. Visit the old district of Otaru, famous for the houses of rich merchants built in the late 19th and early 20th centuries. Admire the early modern architecture of the town before taking the train back to Sapporo with your guide. (Half Day; Duration: 5 hrs; Private Activity & Private Transfer; Fitness Level: Moderate). 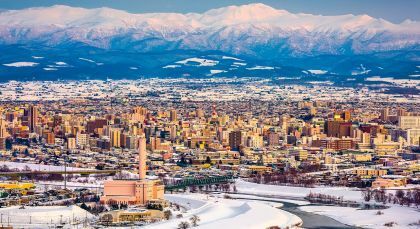 Asahikawa, known for its delicious ramen, is the second largest city on the island of Hokkaido. Apart from being a transit point to places such as Daisetsuzan National Park and Furano, it is also home to Japan’s best and most popular zoo.